Frederick Matthews, Lisa Grubba, Melissa Ross, Charles Griggs and Steve Patterson in Studio 5 (counter-clockwise from l-r). Two men have been freed after serving more than 40 years for a Jacksonville murder they "probably" didn't commit. A “Last Bash”for the Landing is this weekend. A city flood study that doesn’t look at some of the neighborhoods that actually flood. 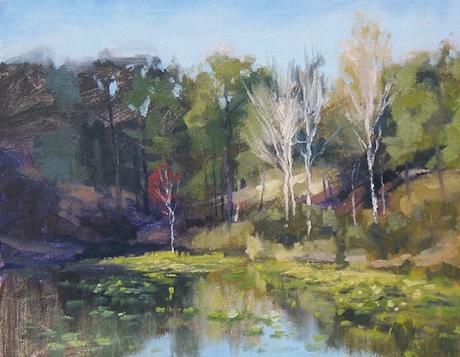 Artists from First Coast Plein Air Painters will create and sell artwork to support local artists and the nonprofit Jacksonville Arboretum & Gardens this weekend, during the “Brush with Nature” event. Gail Beveridge, St. Augustine Artist and Event Committee Member; and Ron Whittington, Arboretum Board Chair, joined us with more information. David Lawrence Junior, the former publisher of the Miami Herald, started the Children’s Movement here in Florida. He has recently released an inspirational memoir about service and the importance of journalism as a bastion of democracy. It’s called A Dedicated Life. New research released last week by the Centers for Disease Control shows troubling trends in how the ongoing opioid overdose epidemic is impacting certain ethnic groups, as well as how the opioid abuse is disproportionately affecting certain age groups and genders in the U.S.
National Geographic Magazine has dedicated the entire April 2019 issue to exploring the future of Cities.